Pop all your thoughts and to-do lists in a pretty, personalised planning notebook – it will keep you on top of everything AND it’s a gorgeous way to relive this emotional and fun-filled time afterwards too! 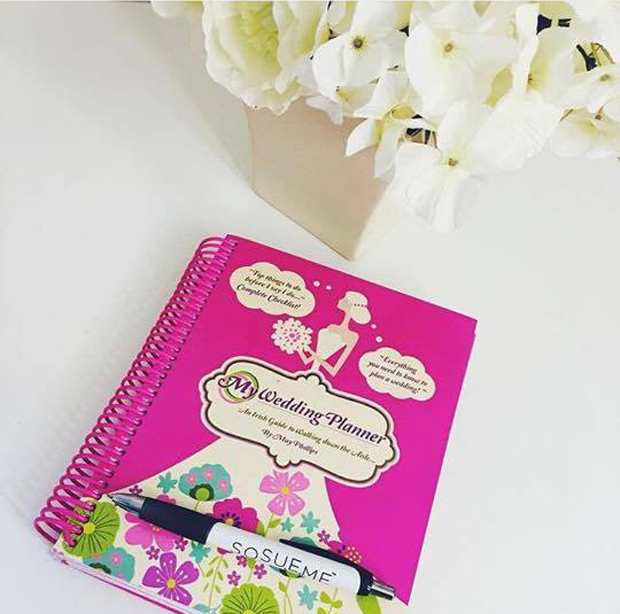 Irish business MyWeddingPlanner.ie have a trusty planning journal designed specifically for Irish brides. You can pick it up here! The rings play a major part in the ceremony so make sure they arrive safely by picking up a pretty box or pillow for them. Find one you love and you’ll be able to pop it by your bedside table as a lovely keepsake for your jewellery. You can pick up beautiful wooden ring boxes over on 4 Love Polka Dots. 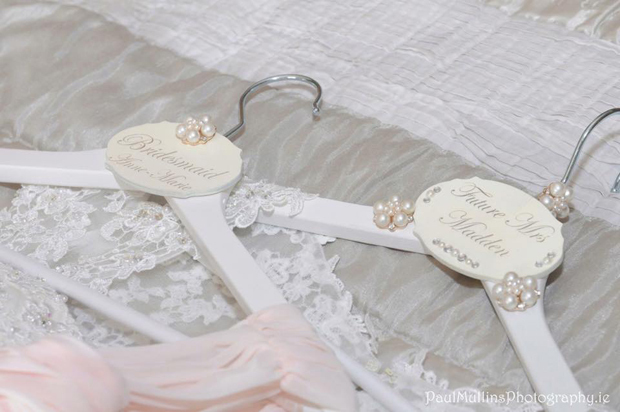 A personalised hanger is a gorgeous way to display your dress on the big morning and will forever make you smile when you see it tucked away in your wardrobe afterwards too! Pick up wedding hangers on Jazzy Creationz and Akito Avalanche Wedding Hangers. We’re a big fan of the robe trend – they look fab in photos, are a great gift idea for your girls and are something you and the maids will get loads of wear out of afterwards too, reminding you of this fun time. 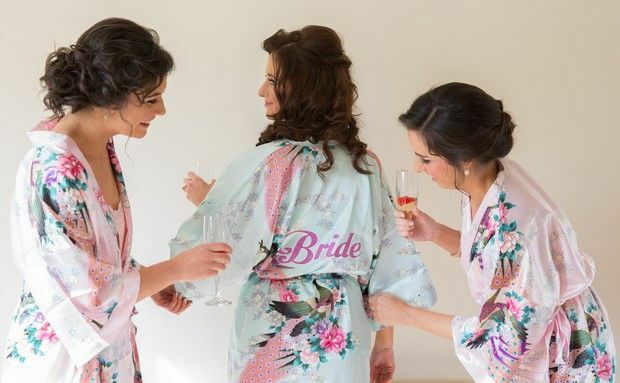 Pick up floral and personalised robes and PJs on The Lovely Little Label, WowWee.ie and Simply Personalised Embroidery. Some bridal party champagne flutes will be a gorgeous addition to the wedding morning fun and will remind you of all the lovely memories with your girls every time you see them in your cabinet at home afterwards too! 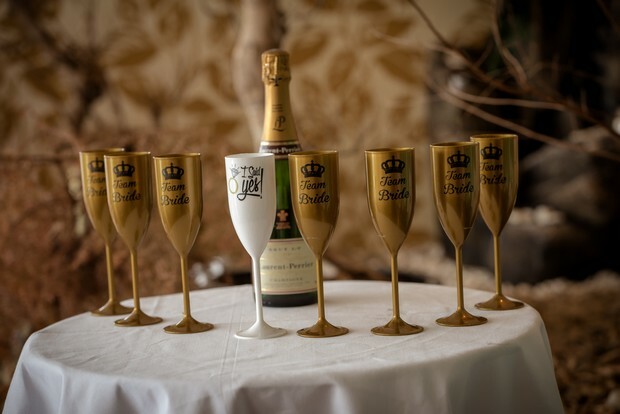 Irish company Wogansecrets are now stocking fab personalised champagne flutes – find out more here! 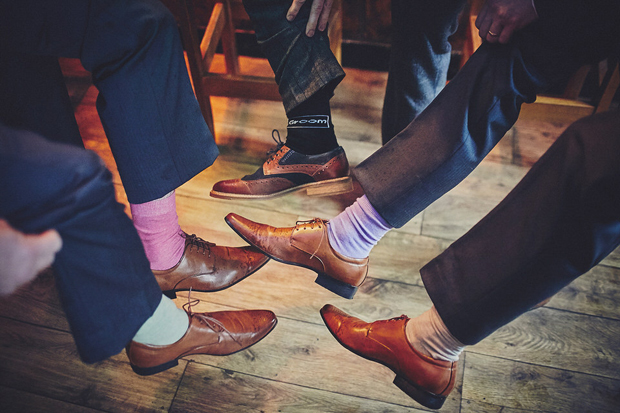 If you’re looking for a gift idea for the man of the moment, some ‘groom’ socks are practical and fun (and are sure to be worn more than once). Pick them up on Lantz Weddings. A canvas tote will always come in handy and will remind you of all the wedding day fun as you’re popping in and out of the aisles at Tesco! 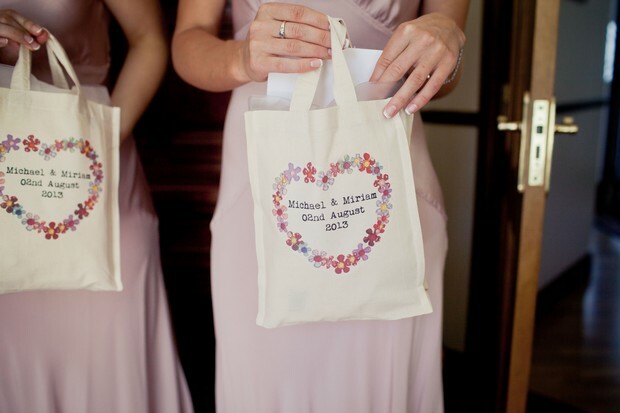 They make a great gift idea for maids or for the bride herself – shop bridal party totes here. Brooch Bouquets are a fab alternative to fresh flowers and are a gorgeous way to include some family heirlooms or even your something blue. The best part – you get to keep and treasure them afterwards and can even pass them on to loved ones or kids. 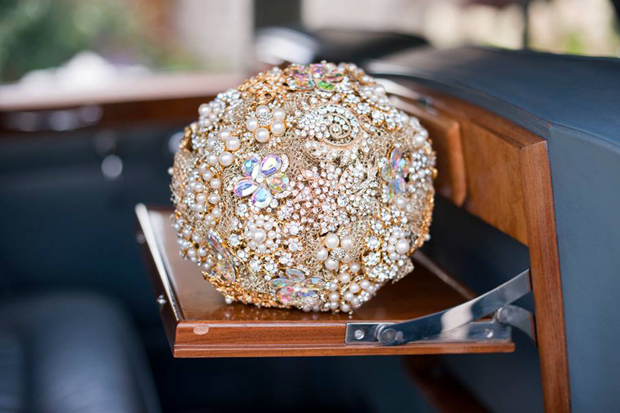 Irish companies Bridal Brooch Bouquets by Ann Cassidy and Florio Designs are the pros when it comes to brooch bouquets and can create an incredible sparkly creation, tailored to your requirements. 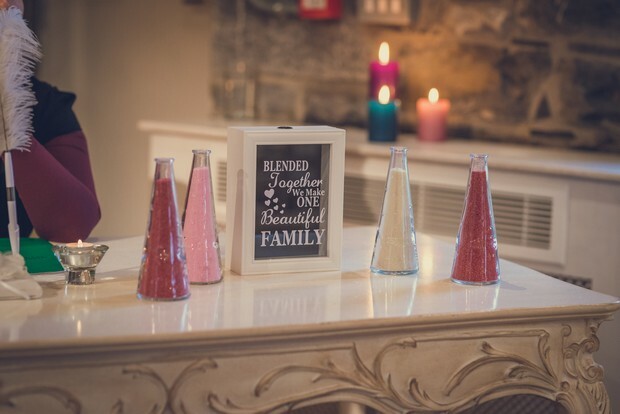 If you’re looking for a sweet alternative to a candle lighting ceremony, the sand ceremony is a lovely way to symbolize your new union and you can include other family members too! The best part is it can be displayed at home afterwards so you can reminisce about this special part of the day. You can pick up sand ceremony sets over on Etsy. 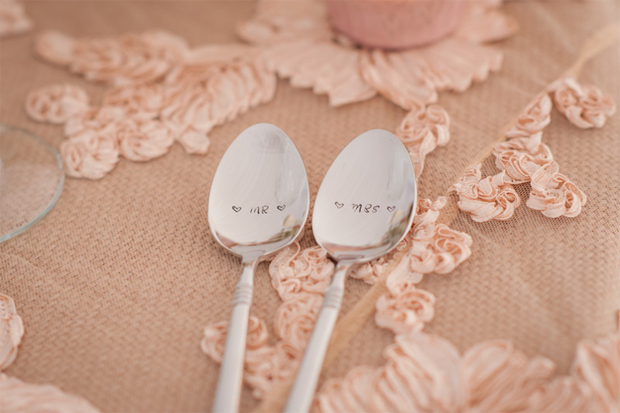 If you’re looking to make your first meal as newlyweds extra special, some Mr&Mrs (Mr&Mr/Mrs&Mrs) cutlery will do just that. And it’s sure to bring you right back to those happy memories every time you spy them in the cutlery drawer at home. Check out some brilliant Mr/Mrs buys here. 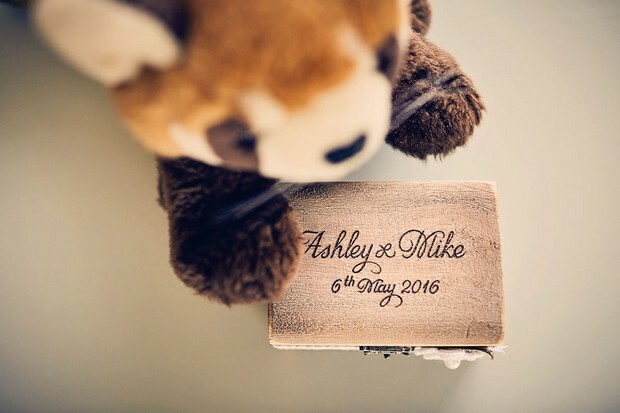 A personalised cake topper will really add a little something to your wedding cake and will look adorable propped on a shelf at home afterwards too long after the cake has been devoured! 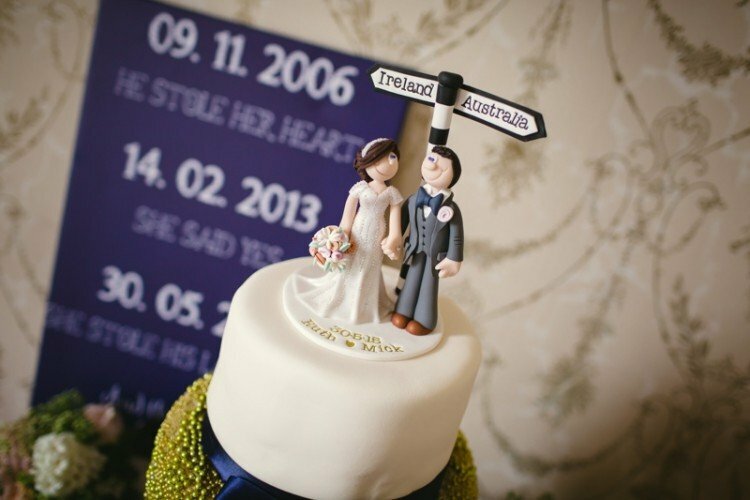 Belle Toppers and Cake Toppers Ireland both specialise in cute customised cake toppers here in Ireland. The guest book comes in many forms these days with everything from Jenga pieces to personalised caricatures for guests to sign. 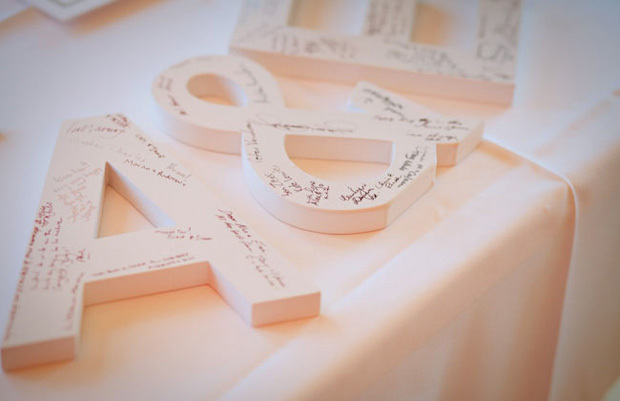 It’s a lovely way to personalise your Big Day, get guests involved and it’s something you’ll cherish afterwards too. 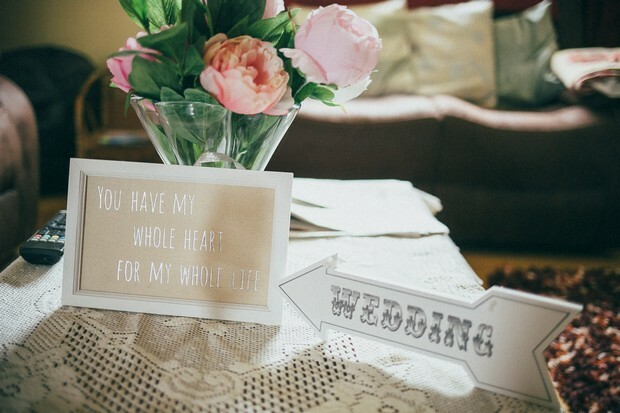 If you choose something you can hang up or pop on a shelf like initials, a framed pic or heart dropbox, it won’t be left idle – it’ll be right at home in your apartment or house as a cute little display feature, forever reminding you of all the wedding fun. If you’re looking for a magical way to capture your day or want to surprise the bride/groom with an incredible gift they’ll cherish forever, this might be the idea for you. 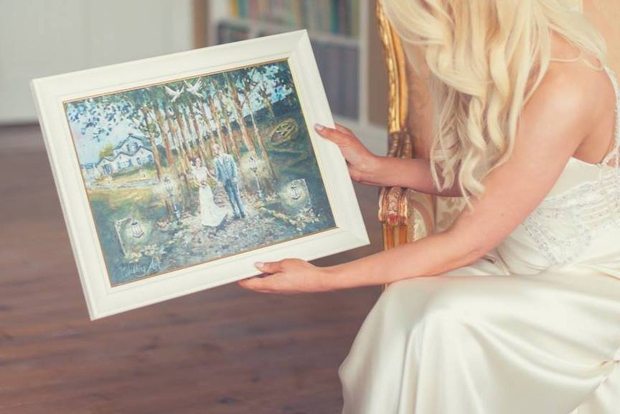 Wedding Art create fine art oil paintings inspired by the wedding couple and their story – the paintings have up to five key scenes such as where the couple first met, got engaged, their wedding venue and other important symbols that represent them and their love story. It’s a gorgeous way to honour your special day and will be a fab addition to your walls as a little reminder afterwards too. Find out more here.